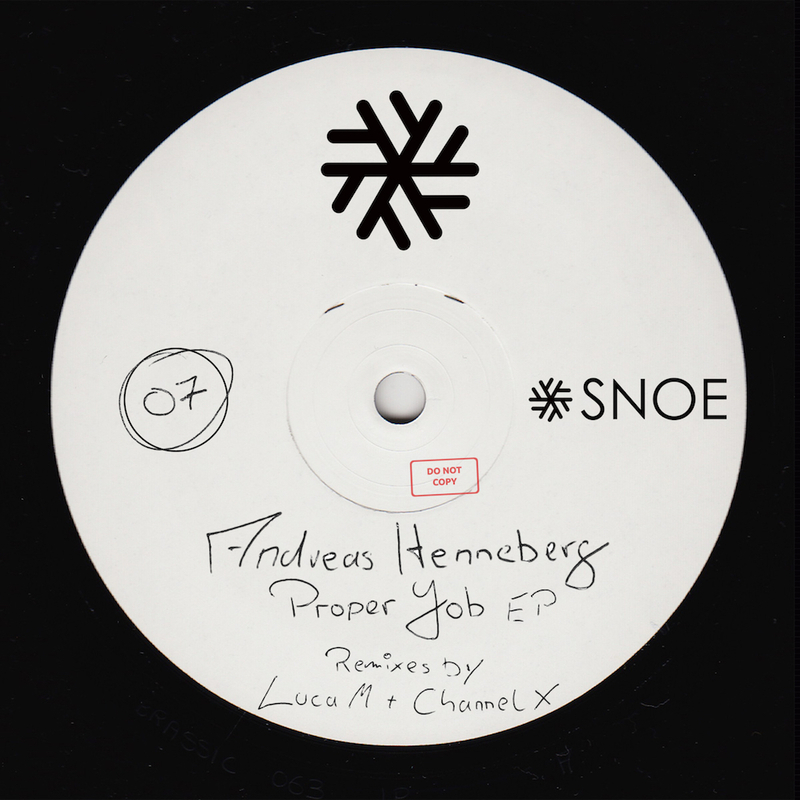 After the last massive releases, SNOE is happy to up the stakes with an EP from the labelboss himself Andreas Henneberg. With him on board he has Luca M and Channel X. This four track banger gets right into a funky mood with „Proper Job“ and it’s on spot kicks accompanying driving hihats and spinning sounds. „On The Fat Tracks“ rips up the dancefloor with it’s wobbling synth and catchy percussions. This combined with an uplifting vocal piercing through the rolling groove brings the energy level in this song to the max. Luca M’s remix of “Proper Job” gives a nice acidic techno twist to the EP with some killer groove-work and the touched up vocal. Channel X takes the vibe of “On The Fat Tracks” and turns it into a freaky dance kick in their own style with a pushing bassline moving forward with the twisted synth in what becomes an ever-escalating synergy of moving sounds. Enjoy lucky nr 7!